Watch the "Shamrock'n'Roll" highlight video. 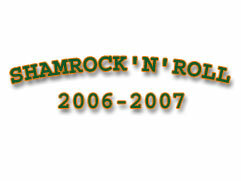 Check out the "New Look Shamrocks!" Also, if you don't have them, get forrest green hockey socks!